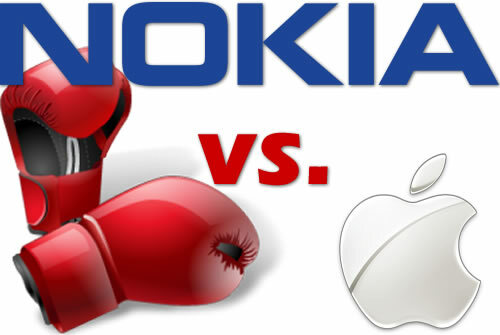 Nokia’s poor performance in the mobile rankings continues.As per StatCounter figures for January, 2013 Apple surpassed Nokia, the Finnish mobile maker for the 1st time as the most popular mobile vendor in global internet usage. StatCounter GlobalStats figures are based on analysis of over 15 billion page views per month. StatCounter network collected data of three million websites. According to the Statcounter research, Apple took the top slot in the ranking which includes mobile devices such as smartphones and the iPod touch,However do not cover tablets. Cupertino taking over a quarter with 25.86 percent share. Apple’s share dropped 2.81 percent points on the year ago same period, when StatCounter pegged Apple’s share at 28.67 percent.It means that Nokia dropped more sharply and continuesly as compared to Apple’s rise. Nokia’s January 2013 share down 15.52 percent from its January 2012 share and is pegged a fifth 22.15 percent and well over a third 37.67 percent. Aodhan Cullen, Chief Exective Officer, StatCounter, in a statement said that Apple has been handed over the number 1 slot despite its falling share price. The decline of Nokia usage from Jan 2012 to Jan 2013 means the Finnish company ceded the top slot to Apple. Samsung is the other rising star in StatCounter’s chart is terms of Android. The Korean mobile maker improved up from 14.84 percent in Jan 2012 and just below at Apple’s heels with a fifth 22.69 percent this year and up 7.85 percent points. Statcounter regional data shows Apple have a far greater lead over Samsung in the North American market.Apple has almost half the market share as compared to around 14 percent for Samsung. Europe’s figures also shows Apple’s lead over Samsung with 40 percent.Samsung hovers around 25 percent.